Summer is generally full of Pride celebrations all over the world. It is also in summer when I tend occasionally to hear people from different walks of life saying that they've "had enough" of Pride. They wonder why we need it. And, as an LGB&T person, I think that it is important that we talk more about what Pride means to us and share it with the world. So, what does Pride mean to me? Pride, to me, is a reminder that our sexuality or gender identity should not define our self-worth. Very much the opposite – it is an opportunity to celebrate all that we are, including our sexuality (whatever that happens to be), loudly and proudly. Pride, to me, is a reminder that the LGB&T community can often be the target of hate. Pride is the perfect time to get out there and stand up for the respect we all deserve. In 2013, non-heterosexual colleagues were "75% more likely to want to leave the Civil Service 'as soon as possible' than heterosexuals"; and "68% more likely to have 'personally experienced bullying or harassment at work'" – as set out in Ben Summerskill's ‘Don't Ask, Don't Tell’ report on barriers to career progression for talented LGB&T civil servants. That said, the Civil Service is taking large strides to becoming an ever more open and inclusive workplace. In particular, with its Talent Action Plan, it is working to secure equal opportunities for all. 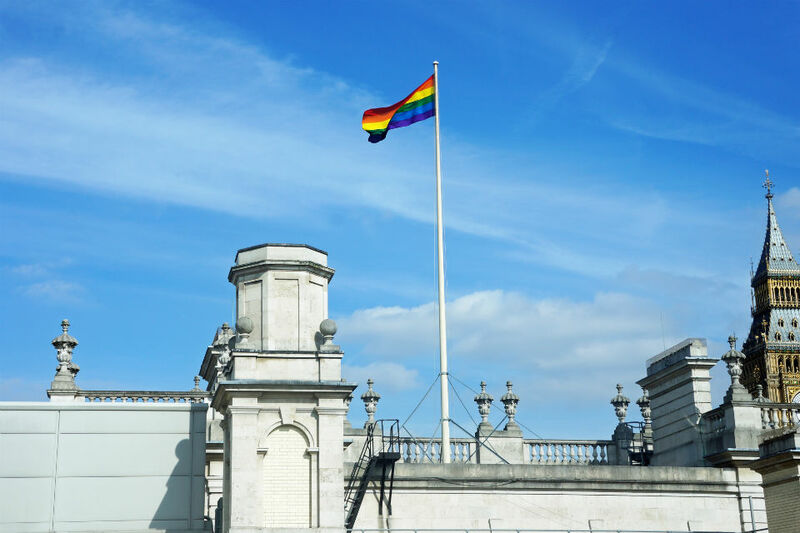 As a civil servant, currently at the Department of Energy & Climate Change (DECC), I am happy to say that I do feel free to be myself, visibly out, and proud of the steps the Civil Service is taking to promote inclusiveness. But, it is key that groups such as the Civil Service Rainbow Alliance (CSRA) and colleagues, senior or otherwise, LGB&T and allies, such as Sue Owen, Richard Heaton (Permanent Secretaries at the Department for Culture, Media and Sport, and the Cabinet Office, respectively) and DECC's very own Stephen Lovegrove and Angie Ridgwell, continue to champion difference. The more inclusive we are, the more LGB&T and people from other strands of diversity will contribute, and ultimately serve the public better. Pride, to me, is a celebration of the progress we have made in embracing ourselves and one another, and a reminder that there is plenty of work to do on this journey to equality and inclusiveness. And, that is what we did this weekend, we celebrated. 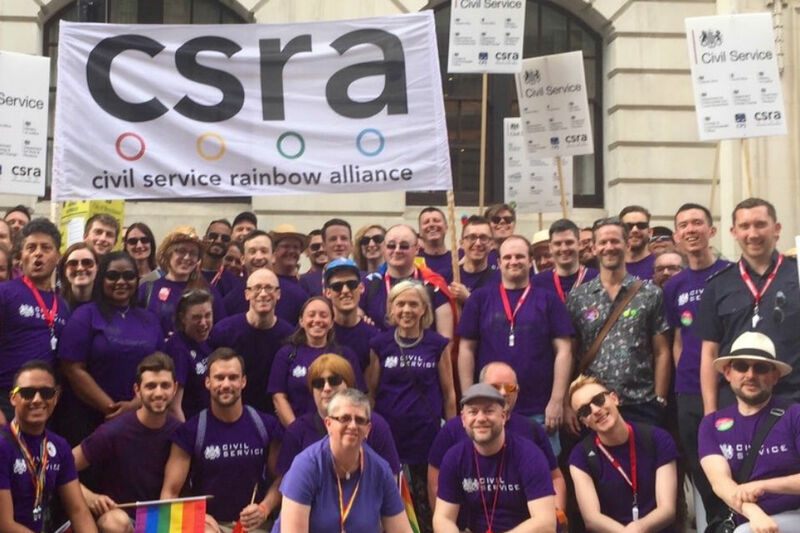 Departments and Arms-Length Bodies, including DECC, flew the rainbow flag and supported their LGB&T staff marching at Pride in London. Led by CSRA, I joined over 100 civil servants from all backgrounds, grades and professions on the march. We celebrated all we have achieved so far, and now we have come back, ready to push ahead. The refreshed TAP - Challenge. Change, Champion!